Here are a couple of Melbourne events to celebrate the release of my new novel, Goddess. 26 June is the official launch of the book by the lovely Alison Croggon. It’s at Readings Bookshop, Lygon Street Carlton, at 6.30pm. The very next evening, I’ll be reading from the book as part of a sensational line-up at Hares & Hyenas, Melbourne’s queer bookshop, in Fitzroy. Maxine Beneba Clarke and Michelle Dicinoski will read from their work too, and then we’ll all have a discussion with MC Kath Duncan about writing and reading and whatever comes up. Should be fabulous. That’s on 27 June and you can book for that here. Today is the official release date for Goddess. It should be in good bookshops and all the ebook platforms now. If you’re in Melbourne, the official launch is on 26 June at Readings Books in Lygon Street, Carlton. I’ll be reading from the book the following night, June 27, at Hares & Hyenas in Fitzroy, along with some other sensational local writers reading from their work. More details on that event soon. 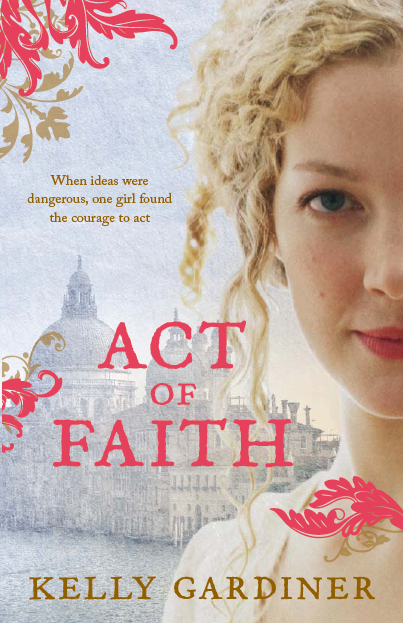 You can read more about the novel, and about its very real and remarkable subject, Julie d’Aubigny, here. How much of the legend is true? How could such an amazing woman exist – and how is it that she’s not better known? So many people ask me these questions, and I’ve spent years trying to find the answers. I’ll write more soon on my research discoveries, and how I incorporated them into the character of Julie and into the book. But in the meantime, here’s the real life story of Julie d’Aubigny – Mademoiselle de Maupin. 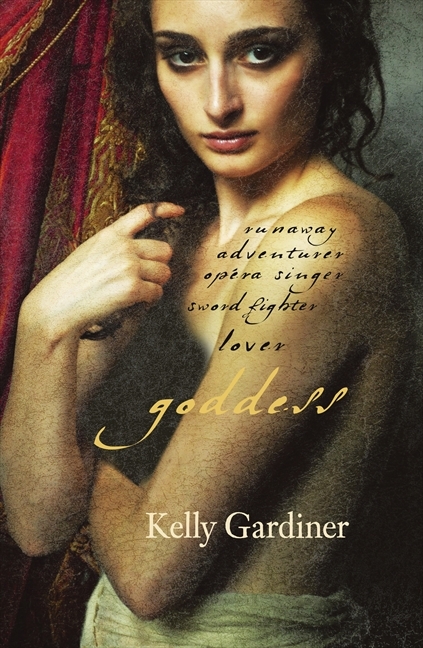 Opera singer, swordswoman, star. Goddess. It’s going to print as I write this. Actually, I’ve been on holidays, which is why I’ve been rather quiet on here. But in my new post-PhD life, I’m actually getting to read some books – yes! Incredible as that seems, I am now able to read novels and books not about seventeenth century France. So I am happily working my way through a very big backlog. I started with Jesse Blackadder’s Chasing the Light, a novel based on the lives of three real Norwegian women who were the first women to travel to Antarctica (in the 1930s). Apart from being a splendid evocation of the time and the frustrations of these adventurous but constrained women, Jesse’s descriptive writing about Antarctica is gob-smackingly beautiful. Then I finally caught up with Queen of the Night, Leanne Hall’s follow-up to This is Shyness, a YA novel I adored from a couple of years ago. Queen of the Night picks up the story of Wildgirl and Wolfboy and their next venture, after much misunderstanding, into Shyness – the suburb just a little bit like Collingwood, but where the sun never rises. Again, the world building is wonderful – familiar and yet not – and the two main characters have even more spark, and sparks, than in their previous encounter. I’ve read several other YA and middle-grade adventure tales set in real or imagined exotic locations over the past few weeks, from graphic novels to steampunk to historical fiction, and I don’t think any of them are as complete a world as Shyness. In a totally different vein, I went on to Eleanor Catton’s Booker-winning The Luminaries, set on the wild west coast of New Zealand’s South Island during the Hokitika gold rushes. I read it in New Zealand, but about as far away from the wild beaches of Hokitika as you can get. There’s an awful lot to say about The Luminaries and I can’t do it justice here, but I will say that as someone who thinks a great deal about historical fiction and voice, I particularly admired Catton’s attempt – successful, I think – to recreate the feel and sound of one of the great Victorian novels, without bogging down the modern reader. You know where you are on the very first page, and that familiar Dickensian omniscient voice is sustained throughout this big book, without ever feeling weighty. Speaking of gold rushes, I’ve also got sucked into rewatching Deadwood on DVD, in all its fabulously foul-mouthed Shakespearean glory. It’s a beautiful thing. But now I’m reading my own book again – proofreading, to be precise. Goddess, the novel based on the life of Julie d’Aubigny, is due out in the middle of the year, and I have the typeset pages on my desk as we speak. So now it’s back to work.